The boats in our fleet will soon be available for private use by qualified skippers. If you're planning to sail in May, or even June, dress appropriately. Wear a heavy, waterproof jacket, a warm hat, and consider purchasing waterproof outer pants. There's nothing worse than shivering in a cold, wet cockpit for a couple of hours while others on the boat who are warmly dressed are having a great time. Also, be aware of our Wind Guidelines. With an inexperienced crew, don't sail in winds above 15 knots. Even with experienced crew, if the wind rises to 20 knots or more, head back to the mooring immediately. Skipper status at U.S. Sailing, our affiliate organization, qualifies a skipper to sail in not more than 15 knot winds. fair to our Instruction Program, which lost class time, to other skippers who wanted to use the boats, or to our maintenance volunteers who spent many hours hauling out, inspecting and repairing boats; not to mention the repair expense incurred by the organization. Sail Chicago does not offer classes in "heavy weather sailing." Those wishing to learn this skill should find another organization that teaches it. Skippers and instructors are expected to follow our Wind Guidelines. The Board reserves the right to discipline those who don't. To learn more about a skipper's personal financial obligation in case of damage to a boat consult the Sail Chicago Rules and Regulations. This year our Monroe Harbor fleet will be moored along the first line of moorings balls north of the fairway leading out to Lake Michigan. This should make it easy for us to leave and return to our moorings and should limit possible damage to our boats from hitting sea walls or other objects. Sail Chicago members and students are invited to our Season Kickoff Party on Sunday, May 20, from 1:00 p.m. until 3:30 p.m. at Columbia Yacht Club. We are keeping it casual with beer and snacks and most importantly... the Sail Chicago fleet will be on display at the dock including our Ericson 34 cruiser, Calypso, as well as other boats from the fleet, including both the Colgate 26 and Rhodes 19. Meet with members of the maintenance crews who keep these boats in tip-top shape for the season, network with Sail Chicago members for future crew opportunities, and meet members of the Board. There will not be any sailing, just brews, snacks, and (fingers crossed!) nice weather. 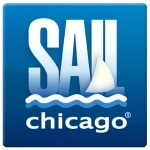 You will also have the chance to win Sail Chicago swag (hint: start practicing your sailing knots!). The event will take place on the lower level of Columbia Yacht Club right as you walk inside. DATE AND TIME: Sunday, May 20, 2018, 1:00 p.m. - 3:30 p.m. The US Sailing Basic Keelboat Certification exam will be given at the pre-sail orientations at Columbia Yacht Club on the following dates: 6/9/18 at 9:00 a.m., 7/14 at 9:00 a.m., and 7/31 at 9:00 a.m. This is an optional written exam. It is a US Sailing exam and has no bearing on your skipper or Sail Chicago status. You may be a Sail Chicago skipper without taking this exam. 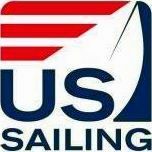 This US Sailing exam gives you a one-year membership in US Sailing and means you have the met basic keelboat standards as defined by U.S. Sailing. The exam is $50, so please bring a check made out to Sail Chicago at the time of the exam. It often takes 4-8 weeks after the exam to receive your confirmation materials from US Sailing. To register for the exam, please contact Alan Summers. When: Saturdays and Sundays, 6/23, 6/24, and 6/30, and 7/1/, 1-5 pm. 7/2, 7/5, 7/9, and 7/12/2018, 1-5 pm. Tiller Times on Friday, 7/6, and 7/13/2018, 1-5 pm. To register: There is no online registration. To register click here to email. Please be sure to include your name, phone, email, and which course you are interested in. There is very limited availability. Spaces will be filled on a first-come-first-served basis. If there is enough interest, more classes may be added at a later date. Already registered in another class? Specify that you wish to transfer from your existing class to a women's class, and which class section you want to transfer from. RACING IS HERE! JOIN THE FUN! Season tickets are $75, and you can race as much or as little as you like. 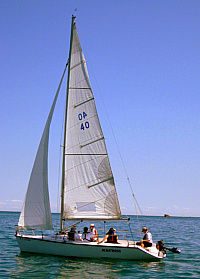 Sail Chicago Cruising is offering Chart Plotter Training to Calypso skippers. Do you wish you understood how to use the GPS system on Calypso? Then come to this hands-on learning session conducted by Jeremy Shaw. You will learn to create way points and routes, record the track you've sailed, estimate the time to port, and how to mark crew-overboard positions. After a brief walk-through, we will leave the harbor and go for a sail with each person taking turns plotting a route, and then following it at the helm. The session will be held for all Calypso skippers (no guests, please) at Burnham Harbor on May 14 from 6:00 p.m. to 10:00 p.m. There is room for four skippers. When you register, there is room for 12 people to sign up. The first four will get the opportunity to sail on May 14 and the rest will be on a waiting list for subsequent sessions. Once we see how many people are interested, we will schedule additional sessions. The "outboard engine committee," comprised of Ed Schroeder, Jack Shubat, John Muhlenberg, and Art Witkiewicz, have completed two sets of instructions for operating the outboard engines with the new EPA-approved fuel tank systems. Two sets of instructions are necessary, as the Yamaha engines are slightly different than the Tohatsu and Mercury engines. It is planned that the proper instructions will be attached to the inner lid of the lazarettes that contain the new fuel tanks. Hopefully, we will have fewer problems this season with engines stopping at very dangerous times. were still affiliated with American Youth Hostels. Ed's been heavily involved in sailing and maintaining our cruising boats over the years and is currently working with Norm Linde, Boat Manager on Priorities, our Hunter 34, which he has practically re-built from scratch. He is an absolute font of knowledge on the detailed workings of cruising boats, and what little he doesn't know he'll find for you in a jiffy on the internet. As a cruising boat instructor, Ed has probably taught more cruising classes over the years than anyone else in Sail Chicago. A self-styled curmudgeon, he's got some very definite opinions on almost any subject you can name. 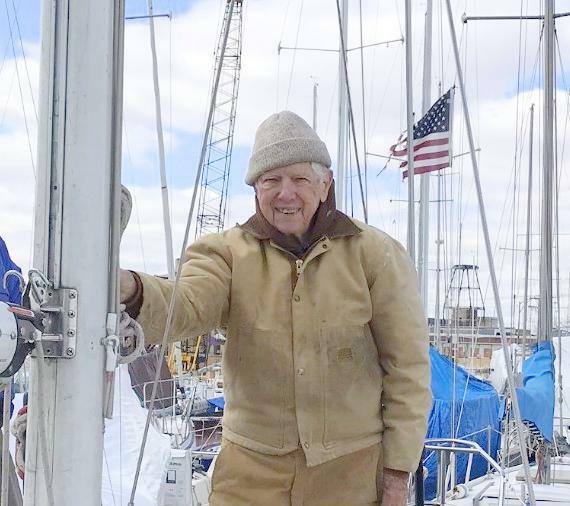 In the winter when Lake Michigan freezes over and he can't sail in Chicago, he charters a cruising boat in the Caribbean and invites friends, family, and fellow Sail Chicago members to join him. Ed, we wish you many more years of sailing with Sail Chicago! If you find tools or equipment for a different boat on a Colgate, please be kind and make an effort to return it to the boat where it belongs. The goal is to ensure consistency across the fleet, so that every boat has access to the same sets of tools and equipment all season long. Mooring wands have also been color-coded and marked with the boat name and mooring number to help sailors return the boats to their assigned moorings. Have colorful and happy sailing! What are mouse lines? Why are they important? Why should I use them? What's the new procedure for tying them? For answers to all these questions and more, click here. And if you're still not sure of the correct way of tying them, click here to watch the video. We are still looking for a few members to fill out our boat maintenance teams. Our boat maintenance teams typically head out once a week to keep our boats in top shape. We are also looking for volunteers to help with answering emails sent to Sail Chicago. As a reminder, first-year members are not expected to complete service time, although they are welcome and encouraged to do so. Second-year members and beyond must sign up for a job to fulfill their service time duties. It is your responsibility to contact us and ensure you have signed up for a job to meet your volunteer commitment for the season. As always, up to date information can be found on the Sail Chicago Organization Chart. If you have any questions or would like to volunteer for a position, please email me. The Sail Chicago Board met at the Morningstar building on April 12. Boat preparations are proceeding well and are expected to be on time to begin the season as planned. The hard work of everyone is appreciated. Student registrations are at an all-time high with 58 classes scheduled. We have four new instructors who will be shadowing experienced skippers before conducting their first classes. The first US Sailing Basic Keelboat Instructor certification will be conducted during the first weekend in May. 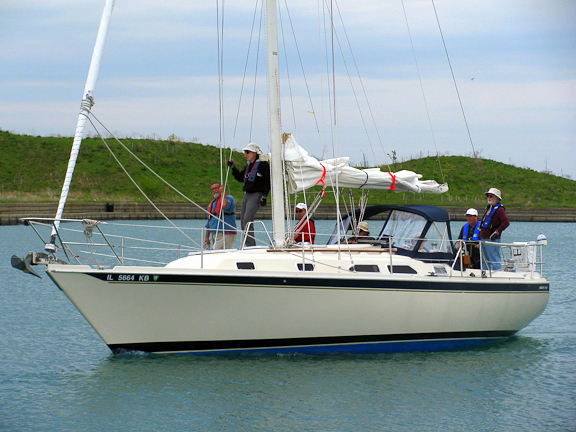 Sail Chicago "Rules and Regulations" were reviewed and updated. The next meeting will be held at 7:00 p.m. on May 10 at the Morningstar building.